Welcome to the New Seasons series! The New Seasons series is about what happens when God shifts the spiritual seasons. Every time there is a shifting in spiritual seasons, God is ready to do a new thing in your life. This 5-post series will encourage and empower you to enter into that new thing God wants to do for you. It will teach you how to get His heavenly downloads, directives, and design for your next season so you can RECEIVE AND ACHIEVE everything God has for you during this time. 1. Heavenly Downloads For YOUR New Season: Here’s how to discern when the seasons are shifting, and how to hear God’s downloads for your new thing! 2. Heavenly Directives For Your New Season: A heavenly directive is a specific instruction from God that unveils His strategy for your next season. When God downloads His heavenly directives into you, you can pray and move into His strategic plan as He opens doors–and you can start preparing those doors to open. Here are the three kinds of directives God will give you, and how to act on each of them. 3. How To Get Heavenly Design For Your New Season (My #1 Technique): Do this to get a very clear picture of what God’s design for your next season is. ‘Nuff said. 4. Answering 19 Reader FAQs About Entering Your New Season, plus a special offer of mentoring material I wrote for my personal spiritual sons and daughters (that I’ve never released to anyone else before). This post is the most in-depth question and answer posts you’ll find about new seasons. HUGE amount of encouragement and helpful information. 5. 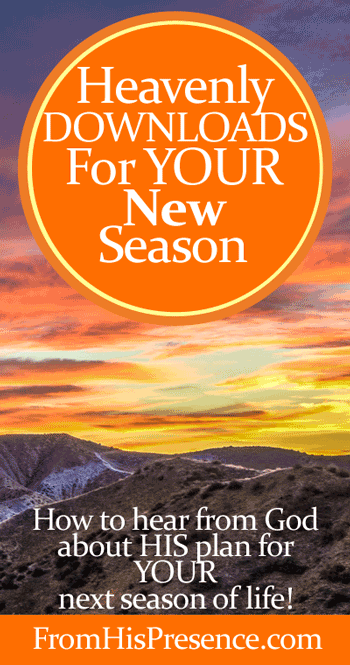 No Need To Fear Your New Season (My Story About A Season That Hurt): One of the questions submitted by a reader was, “What if my new season hurts?” In this post, I share from my personal, heartrending experience why you don’t have to be afraid… because even the seasons that hurt will only promote you. Are you ready for your new season? God is! 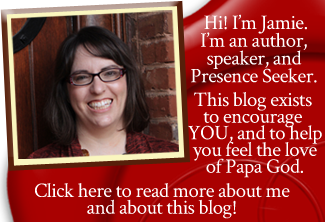 Read these posts, get my mentoring material, and get alone with God to get His design for YOUR new day! Image courtesy of Jeff Turner on Flickr via Creative Commons license.